You can’t learn to perform the Japanese art of Reiki healing touch from just reading a book. On multiple occasions, I’ve had students come in for an introductory class and tell me that they had picked up a Reiki manual at the bookstore and already tried practicing hand positions on their friends and family. Recounting their experiences, they told me things like, “I felt energy in my hands, but afterwards I felt pretty tired.” These well-intentioned individuals were undoubtedly depleting too much of their own energy (or “ki”) in the process. But the good news is that this draining effect doesn’t happen once you’re “attuned” to Reiki. The Reiki attunement process involves an energetic transfer through a Master Teacher to a student during a short ritual called reiju (or blessing) in Japanese. These attunements are an essential part of any Reiki training program. The Usui System of Reiki includes four attunements (Levels I, II, Advanced, and Master). Each increases your connection to the very high vibration of universal life-force energy called Reiki. The enhanced connection to this energy source enables you to easily become a channel or conduit for Reiki, so that you too are energized/healed by the process of giving it to another individual. Once attuned, all you have to do it intend to channel Reiki for it to easily start flowing through your body and out through the palms of your hands to wherever you direct it – to specific parts of your body or to others. You can feel it! I’ve noticed a striking before-and-after in the students who said they had gotten tired trying to do energywork before their attunement (or reiju). During the attunements given in Reiki classes, students sit peacefully in a chair as I touch their head, shoulders and hands in specific ways while using a special breathing technique and concentrating deeply on this energetic transfer. For a class with three students, each attunement takes about 20 minutes or so. While receiving attunements, some students feel warmth in their hands and tingling around their head, and some even have significant visual experiences through their mind’s eye (saying they see vibrant colors or meaningful imagery). Everyone’s experience is unique, but just about everybody feels a deep sense of peace and relaxation. Because the attunement process is spiritually guided, it is always successful, requiring only the intention of the teacher to give it and of the student to receive it. “During the class, Brad gave me the two attunements, and they were almost unexplainable, especially the second one. I was seeing colors from my heart chakra up through my crown chakra. Amazing! Brad is patient and professional, and he is an educated, personable, spiritual, funny gentleman who knows his Reiki.” – Ellen G.
So how exactly do these attunements work? No one can completely answer that question. But there are different theories about this inherently mystical process. Many believe that attunement energies guided by a Higher Power (Reiki is considered spiritually guided life-force energy) flow through the teacher into students, making adjustments to their energy field that enable them to easily connect to this very high vibration of healing energy (drawing it from a unlimited, universal source). In traditional Japanese Reiki, it’s said this attunement is an act of remembering – that this energetic ability has lain dormant within all of us until activated through this meaningful ritual of intention (like flipping a switch to turn on the light). Others believe that the Angels who watch over all of us here on Earth as well as Spirit Guides associated with Reiki play a key role in the attunement process. I personally believe that Reiki is the benefit of an Angelic touch that is available to all of us once we are ready and committed to receive it. I can tell you that my access to spiritual guidance has profoundly increased in the years I’ve practiced Reiki. But I stress that Reiki is not a religion. I’ve had students of varying spiritual paths (Christian, Muslim, Buddhist, Jewish, Hindu, etc.) take this training and still find the core concepts congruent with their spiritual beliefs. 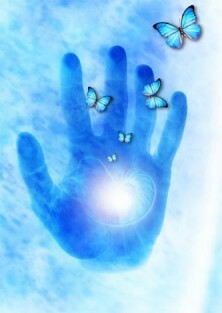 Reiki simply comes from a Higher Power or the Universe, however you choose to define it. When I teach classes, I often like to equate Reiki energy with radio waves. Of course, I can’t see those electromagnetic radio waves riding their frequency through the air around me. But when I “tune” my radio dial to the right spots, I can pull in and enjoy the beautiful music being transmitted. Reiki is similar in that once you’ve been “attuned” to its frequency, it becomes almost effortless to access this very high vibration of energy. All you have to do is mentally push a power button to set your intention. Once you’ve been attuned to Reiki, you have that ability for life. You only have to be attuned to any particular level of Reiki training once, but multiple attunements to the same level can be healing and feel wonderful. Whatever level of Reiki you’ve been attuned to, the strength of your ability to channel it depends partly upon how often you use it. The more you channel Reiki, the stronger its flow grows and the more deeply you are healed. It’s a lot like working a muscle. But after your initial attunements (I combine Levels I & II into an introductory training), you may eventually find yourself wanting to significantly grow your abilities in the next class (receiving the Advanced and Master attunements). I also offer attunements to the Karuna Reiki Master level, a remarkable evolution of the traditional Japanese system. Perhaps you can imagine how wonderful it would feel to have this enhanced healing ability right in the palm of your hands. At Wellspring Rejuvenation Center, I offer all levels of Reiki training, enabling you to easily access this energy source through hand positions, techniques, and meditations covered in my courses.